This is an update within our Mali conflict map series - for the original story, see Mali Map: Islamist Control & French Intervention. 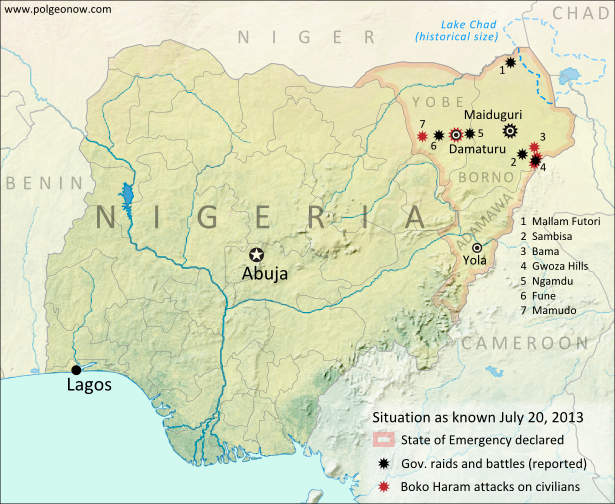 Updated map of situation in Mali ahead of elections on July 28, 2013. Map by Evan Centanni, modified from Wikimedia map by Orionist, using images by Carport and NordNordWest (source). License: CC BY-SA. As shown on the previous edition of our Mali war map, January's French intervention against religious extremists returned most of the country to government control, but left the northeastern province of Kidal in the hands of the Tuareg-dominated rebels of the National Movement for the Liberation of Azawad (MNLA). The MNLA had insisted that the Malian army not be allowed into Kidal, citing the army's alleged abuses against Tuareg and Arab people, leading France to seek negotiations between the MNLA and Mali's central government. The Malian government likewise insisted that it be allowed into Kidal prior to national elections on July 28th, and the army at one point appeared poised to fight its way in by force, capturing the provincial border town of Anefis in early June. However, after two more weeks, the government and the MNLA signed a formal deal, agreeing to put off questions of autonomy for the north until after the elections. 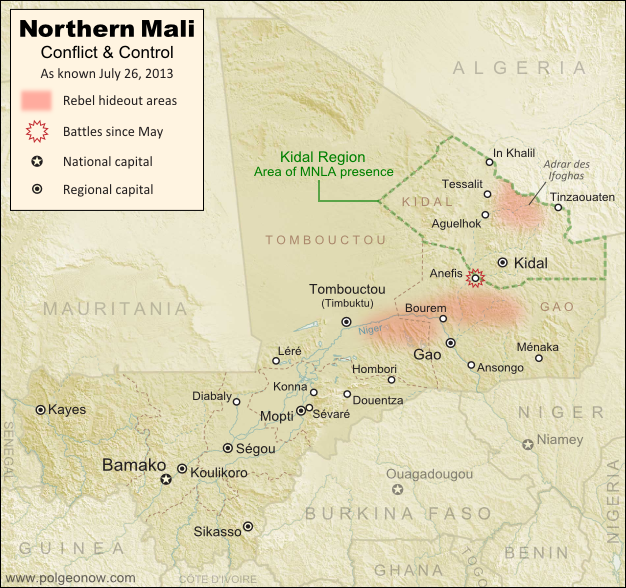 Under the agreement, Mali's army was allowed to peacefully enter Kidal, and MNLA soldiers returned to their camps. A new U.N. peacekeeping mission in Mali, called MINUSMA, officially began on July 1st. 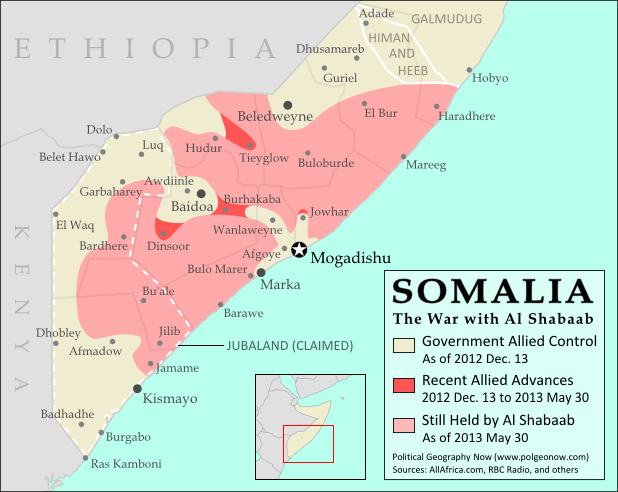 The mission replaces the international African force already in the country, a coalition of West African neighbor countries plus Chad, under U.N. command. In addition to the U.N. peacekeepers, there are also still 3,200 French troops remaining in Mali. 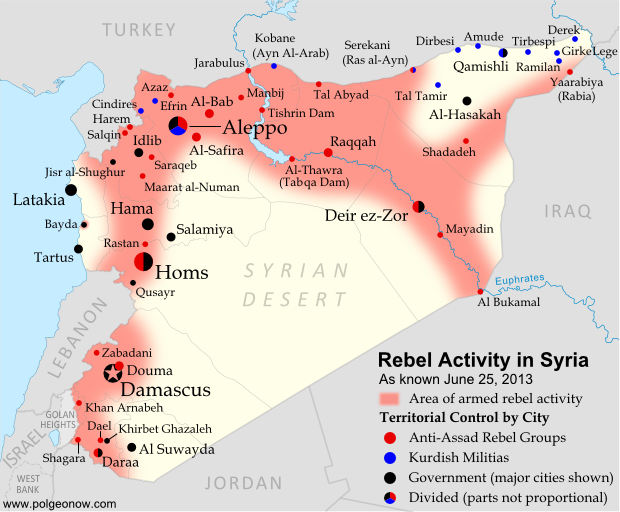 What About the Islamist Rebels? Religious extremist rebel groups Ansar Dine and the Movement for Unity and Jihad in West Africa (MUJAO), which last year controlled all of northern Mali, have mostly gone into hiding since the French intervention - Ansar Dine in the Adrar des Ifoghas mountains of Kidal, and MUJAO in the area of Gao and nearby stretches of the Niger River. Al Qaeda's local branch, AQIM, is also present. Our last Mali war map showed continuing battles against the rebels even in the north's major cities, but since May the fighting has mostly come to an end, with the militants avoiding rather than confronting the French army's ongoing expeditions into the desert. The only major fighting reported since our last update was a clash between MUJAO rebels and the MNLA in Anefis, prior to the town being taken by the Malian army.